Lokesh Bhanot, a student of the Dr YS Parmar University of Horticulture and Forestry (UHF), Nauni is all set to represent the country in the World Kickboxing Championship to be held at Buenos Aires, Argentina from November 5-10, 2018. The championship is being organized by the World Kickboxing Federation. 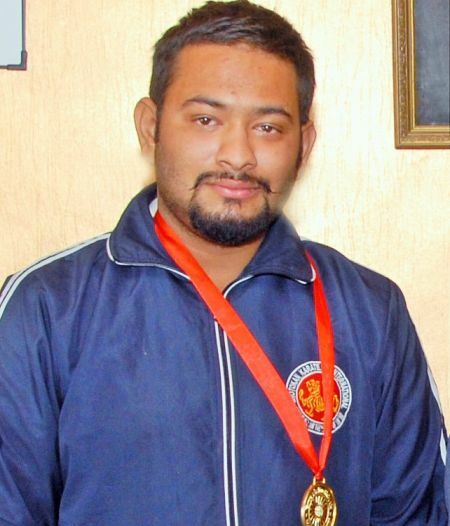 A fourth-year student of B Sc Forestry at the University’s College of Horticulture and Forestry Neri, Bhanot had bagged a bronze medal in the senior category (90-100 kg) in the National Kickboxing Championship held at Patna in 2016 and a Gold Medal in the 65-75 kg category at the National Championship held at Ghaziabad in 2012-13. 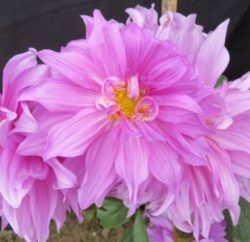 In addition, Bhanot has won several medals at the state and district level championships in different weight categories. Hailing from Solan, Bhanot had previously represented India in Italy in 2013 where he became a black belt in the sport. In 2017, he was selected to participate in the World Kickboxing Championship in Sudan and Brazil, but could not participate due to his exams. Not only has Bhanot excelled as a player, but in 2017 also became a World Kickboxing Federation accredited International referee in the sport by clearing the official exam. He is also an accredited national referee. Bhanot credits his parents, coach and college teachers, and friends for their constant support for his success. The university has also recognized his achievements and awarded him with Outstanding Student and Sportsperson award at the University and College level. 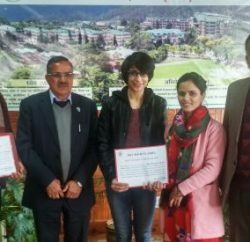 While congratulating Bhanot for bringing laurels to the university and the College, Dr HC Sharma, UHF Vice-Chancellor said that the University has been encouraging sporting activities along with academics. He added that this achievement will also motivate other students of the university. Dr PC Sharma, Dean of COH&F and faculty also congratulated Bhanot for his sporting achievements.